or St. Andrew UMC (Compassion Fund/Hank Stambaugh,) 9203 S. University Blvd., Highlands Ranch, Co 80126. It is with deep sadness that we share with you the news of the death of Hank Stambaugh. Hank passed away the evening of Augusut 21st, after a Celebration of his Life Ceremony, surrounded by his family and close friends. 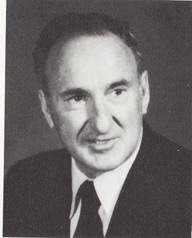 He is survived by his loving wife, Ruth of 66 years; sons, Jim (Lynn), Luke (Denni Shefrin); daughter Christy Boyle; grandchildren: John Boyle (Lindsay), Catherine Boyle, Carlee Steck (Josh), Stacey Sambaugh, Brady Stambaugh (Jamie), Mary Boyle, Cody Stambaugh, Kaitlyn Stambaugh, Heather Stambaugh ; three great grandchildren: McKenna and Cooper Boyle and Parker Steck; sister Leota and brothers, Gene, Von, Don, Barney, and Dale. Hank was born in 1926 and raised in Toledo, Ohio. His love of flying began at a very early age, seeking small jobs to pay for flying lessons at a local airport. At the age of 17, he attempted to enlist in the US Air Corps but was rejected because he was too young. He then enrolled and was accepted into the Royal Canadian Air Force. He returned to the US to gather his personal belongings and when he attempted to return to Canada, he was turned away at the border when his true age was discovered. When he turned 18, he entered the Army Air Corps and trained as a fighter pilot in preparation for the invasion on Japan. Fortunately the war ended before he left US soil. Following WWII, he became a crop duster and flight instructor, aircraft mechanic, and pilot for hire in Toledo. In 1951, he begun his career as a pilot for Western Airlines flying the DC-3 and ended his career of 35 years on the DC-10-30. At his retirement as Captain, he was ranked the number 1 pilot at Western. He loved flying all over the US, especially Hawaii, Alaska, and internationally to Mexico and London, England. During and well after his long flying career, he took any opportunity to entertain many with his stories of heroic flights filled with drama and humor. Hank said many times that he came to understand that God was truly the Captain that was on board with him during all of his flights. He owned various planes over the years and taught his son Jim to fly a Cessna 140. He adored the mountains, hiking and skiing with family and friends. He built a cabin near Breckenridge, Colorado creating many years of enjoyment and fond memories for family and friends. After Hank’s retirement, he perfected his hobby as an artist and became a profession sculptor specializing in bronze casting. For years, he was a regular contributor to the Loveland Sculpture Invitational Art an Sale Show. Coors Stadium has one of his pieces on display: Depression Kid “Sandlotter” 1938. Hank and Ruth have been members of St. Andrew United Methodist Church for over 30 years. He was very involved and committed to his church. Hank and Ruth went to Israel with St. Andrew. Hank had an enormously generous spirit and consistently baked at St. Andrew and delivered food for Street Reach every Monday for many years. Hank loved his family and friends. He is known for his generosity, humility and compassion. He reached out to those in need and helped many through the years. We feel blessed to have had Hank in our lives and are also very proud of his numerous accomplishments. His loving family, Ruth, Jim, Christy and Luke. A Service of Remembrance and Celebration for the life of Hank will be held Thursday, August 28th at 10:30 am in the Sanctuary at St. Andrew United Methodist Church. A luncheon reception will follow and all who wish to join are welcome. News has reached us with the passing of retired WAL pilot Captain Hank Stambaugh, age 88. Captain Stambaugh suffered a horrible fall on August 18th and his injuries were too extensive to overcome. His family had to make the difficult decision to remove life support, that was Thursday evening and Captain Stambaugh passed away the next day. Information is limited but to the best of my knowledge .... J. Henry Stambaugh was born/raised in Bryan, Ohio, a small town located about an hour west of Toledo. I believe he was the oldest of seven children born to parents Truman Henry Stambaugh and Adeline neé Baerlin Stambaugh. 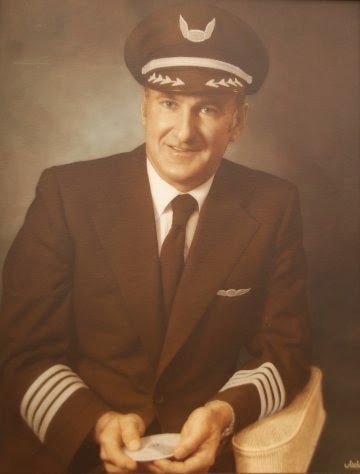 Captain Stambaugh joined Western Airlines 04-09-1951 and was based Denver for much of his career. By 1976 he was based LAX, and possibly SLC as well, prior to his retirement which I believe was in 1986. 9203 S. University Blvd., Highlands Ranch, CO 80126. Our thanks goes to Hanks’ friend and good friend of the family Jack McBride who has kept us posted. Corrections to any of my information is always appreciated as well. I have the latest on Hank Stambaugh. They took him off life support Thursday evening and he died on Friday, the 22nd. Services will be on Thursday, Aug. 28th, at St. Andrews Methodist Church in Highlands Ranch. Thanks to Jack McBride for this sad news! Just to let you know that Hank Stambaugh fell in the shower Monday (18th). He broke his back in a couple of places, his nose and not sure what else. He is at Littleton Hospital, 7700 S. Broadway, Littleton, CO (don't know the zip). He is in room #562. We don't have any further information, but will send it later as we know more. This is in regards to Hank Stambaugh ................shower last Monday, the 18th. I visited him and the family this afternoon, and they plan on taking him off life support sometime later today. We will send you further information when we have it later today probably.